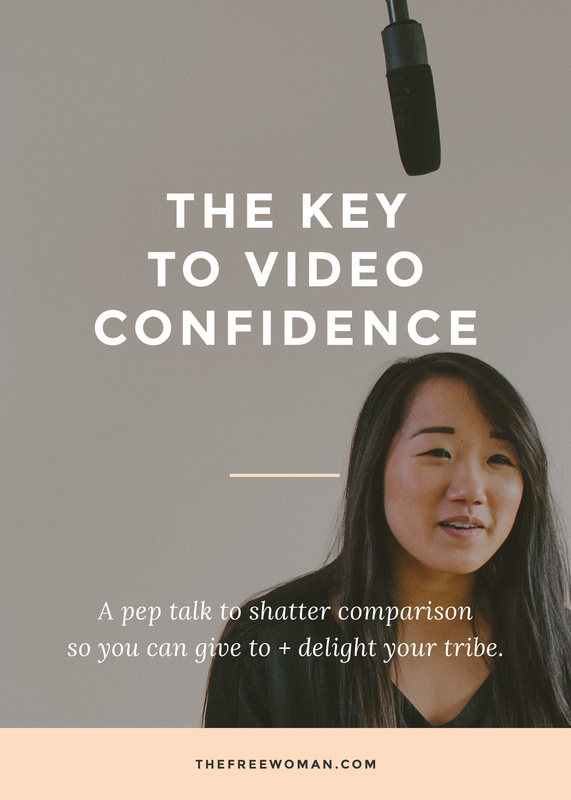 The Key To Video Confidence… is you! Usually I can tell just by the way my curly hair sets after letting it air dry if I’m going to have a confident, empowered, radiant-in-my-own-skin day or not. Seriously, good (or bad) hair days can hold so much power. When the frizz halo comes out I want nothing more than to swing my hair up into a high pony and ignore it until tomorrow. And when my hair is in a pony, video content does not happen. Say goodbye to Snapchat and don’t even think about Instagram stories. Not. Happening. But even on my worst hair days (and sometimes especially on those days) I am full to the brim with crazy epiphanies, hilarious real-life stories, wild encouragement, and important words I want to share with creative women like you. But I’m held back by what I perceive in that moment as an unforgivable flaw, so I don’t share. Friends, when we let bad hair days (or body-insecure days, blah-days, laundry-day, etc.) win, we miss out on incredible opportunities to be real with the people we love to serve. One day I was fed up with trying to present a picture-perfect image on social media, so I literally published an Instagram story of myself dancing makeup-less with a towel on my head to my followers. Forcing myself outside of my comfort zone felt crazy in the moment… But the response I received back was incredible. People were dancing with me. Literally in videos back, and figuratively in their hearts and kind written responses. And suddenly I felt so empowered after letting my imperfections show. Our followers just want us. Not the perfect us, the put-together us, the good hair day us, or the eloquent version of us… The real us. They want the messy, imperfect, down-to-earth, true us. That’s why they followed us in the first place. Not because we were perfect, but because they resonated with something we said or shared or did or made. And they’re not just sticking around to see our products, services, or what we can provide them with (although those things are all important)… They stuck around because they want to know us. They want to know our hearts, our favorite colors, the way our laugh sounds when we let down our walls, our pet’s names, our favorite ways to relax and wind down after a hard day at work. They want to know what causes we support, the passions inside our hearts, our hobbies, and our biggest dreams. They even want to know our honest fears, hurts, struggles, and worries. Because we’re humans. And they are humans. And humans were designed for relationship and community with each other. If you’re anything like me, you’ve struggled under the weight of the perfection you feel obligated to portray on social media. You might have even gotten caught up in the comparison game before finally reaching a breaking point within yourself, thinking something had to give and wishing that sharing socially felt more honest and transparent. Well guess what? I have some really, really good news. We get to be the change we want to see on social media. It might sound simple, but let it sink into your bones. You get to be the change you want to see. Want to see honesty? Be honest. Want to see real? Be real. Want to see the illusion of perfection crumble under the true beauty of our real and messy lives? Go create an Instagram story on a bad hair day, a day when you wish you weighed 20 pounds less, or a day when you are struggling to stay motivated in your work. Give us what you want to see. Watch your tribe light up with joy and delight at seeing another human being. And then watch them start doing the same thing, setting the other captives free in an incredible, empowering chain reaction. We have the power to change things within us, and all we need is the courage to carry it out. We are beautiful. From our head to our toes. With makeup or without. At our goal weight or not. On a bad hair day or a good one. And we are worthy. When we feel successful or when we don’t. When we have 30K followers or only three. When we believe that our art is good and when we can’t bear to call ourselves artists. Thank goodness that our tribes aren’t looking for perfect. They’re looking for people. They’re looking for you. The real you. So show up and say hello. Speak your heart. We’re waiting. We are beautiful. From our head to our toes. With makeup or without. At our goal weight or not. Kristen is a visionary, innovator, and creative woman seeking after God's heart. After providing film services to clients for the last six years, she's felt the call of God to lay it down and embrace a new adventure that's taking her out of her comfort zone... Blogging over at Kindred Cinema and one day hosting workshops for the faith-led and forever-changed creative woman devoted to building a meaningful business. 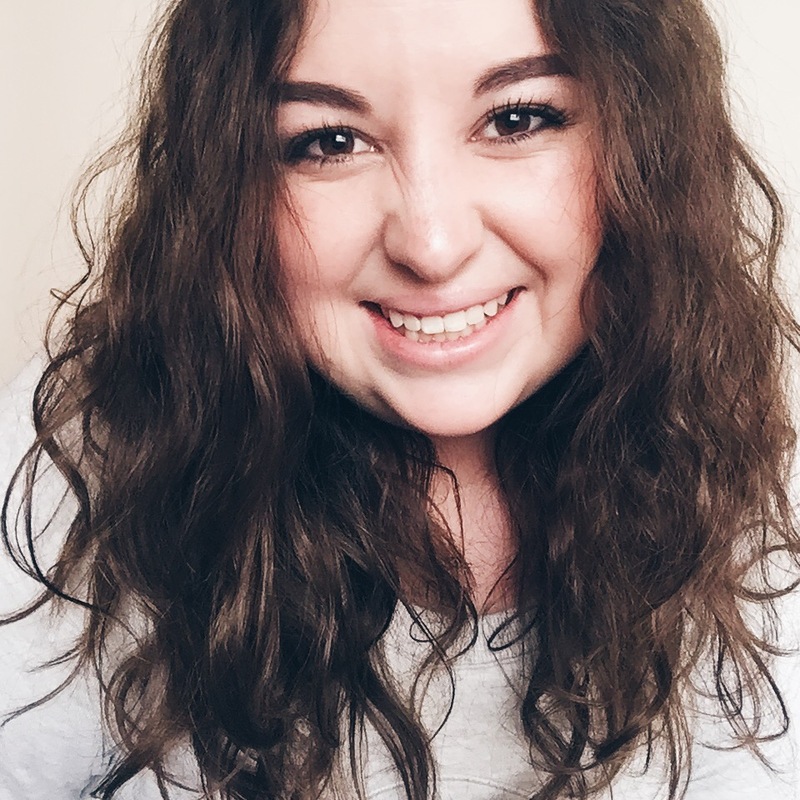 In her free time, Kristen loves reading good books that change her perspective and make her cry, exploring new cities with good company, and sipping delicious iced chai lattes in the sunshine. But she loves people more than anything--especially walking through life with them, serving them, and supporting them in their biggest dreams and passions.